If you need to stop an asteroid, you call Superman. If you need to solve a mystery, you call Batman. But if you need to end a war, you call Wonder Woman. It's hard to understand how or why DC hasn't moved forward on the success of the Wonder Woman film with pushing the character into other medium. There's no sign of a cartoon coming, no sign of some type of show or the character appearing in the Teen Titans live-action set to debut next year. 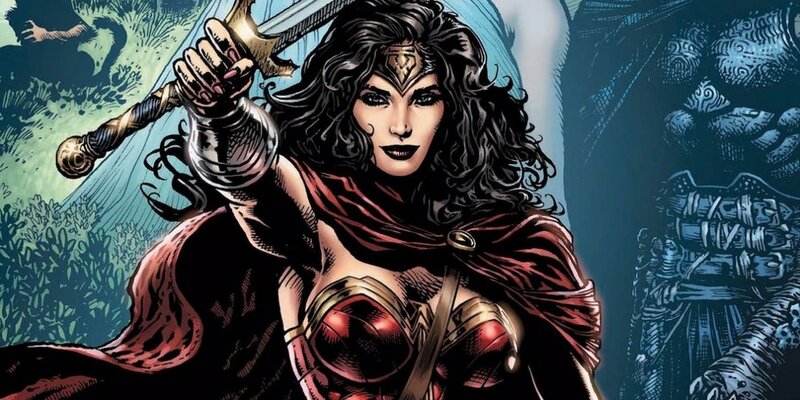 There's just the news of Wonder Woman 2 getting the green light, which is a great thing, though one wonders why you wouldn't put this character, this icon, with such a deep catelogue into more of the spaces. Considering the Tomb Raider franchise experienced a reboot that followed Lara Croft through adventures that lead her to becoming the iconic character she essentially is, one wonders why it's been so difficult (if that has been the case) to develop a game based on Wonder Woman. Of the many adventures the character has gone through as well as the several iterations of the character it's not far fetched for a studio with the blessing of WB to make such a game. I've been thinking about this for quite some time, and with the upcoming release of Spider-Man for the Playstation 4 in 2018, I've wondered why hasn't there been a Wonder Woman video game? The concept of making such a game shouldn't be too difficult, look at the new God of War. The ability to tell a compelling story in a game featuring Diana Prince with a scope similar to that of Horizon Zero Dawn, with a look and feel of the new God of War, in it's own unique and vibrant world. A method of storytelling in which you follow the story of a young Diana exploring her powers and abilities fighting alongside other amazons, an origin story of sorts that establishes the character for future games to come a way of introducing such worlds has been done time and time again. Not to mention you have a solo film that was a critical and commercial success, though the game doesn't and shouldn't be within the world of the film riding that success makes the most logical sense. With several women lead popular games that have been AAA titles released on platforms one wonders why of all characters Wonder Woman hasn't been announced or released. It's long overdue and it would make all of the sense in the world to get started on such a game, and while this hypothetical is being exercised, hire Gail Simone to lead the story.